We have many articles here that explain how to grow different plants in buckets. If you regularly read our articles, you may wonder why we enjoy gardening in buckets. Although it’s often possible to directly use the soil, there are other situations where using big buckets can be preferable over directly sticking your plants in the soil. We’re going to look at a few of those reasons here. 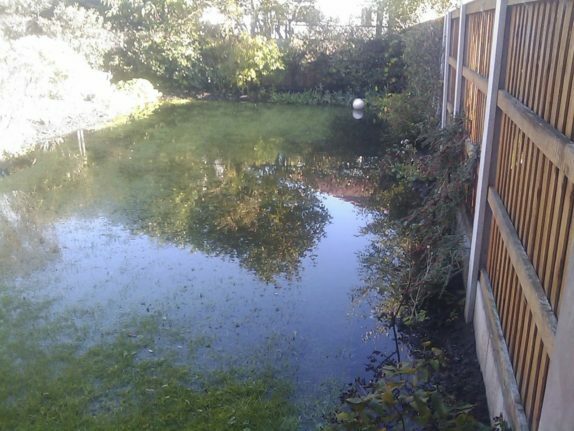 I live in the Netherlands, with a garden that’s roughly three meter beneath sea level. As you can imagine, the soil can get very soggy. Many plants really don’t like that. If you’re dealing with a problem like this, simply placing buckets in your garden can be a good solution, as the plants will be at a higher level. Drainage then ceases to be a problem. Not everyone has a garden, yet you may nonetheless want to grow plants. Bucket gardens can be a great solution to this. You can place your bucket on your balcony, but you can similarly hang buckets on your fence, your rooftop or even on the wall of your house. Buckets in these places allow you to make use of your space effectively. Bucket garden can be more flexible than sticking plants in the soil. A plant that’s in your way can be permanently or temporarily moved to another place. If friends or family like a plant you no longer want, they can take it with them. A plant you no longer like can be removed, without having to harm other plants in the process, as roots can extend quite far in different directions. 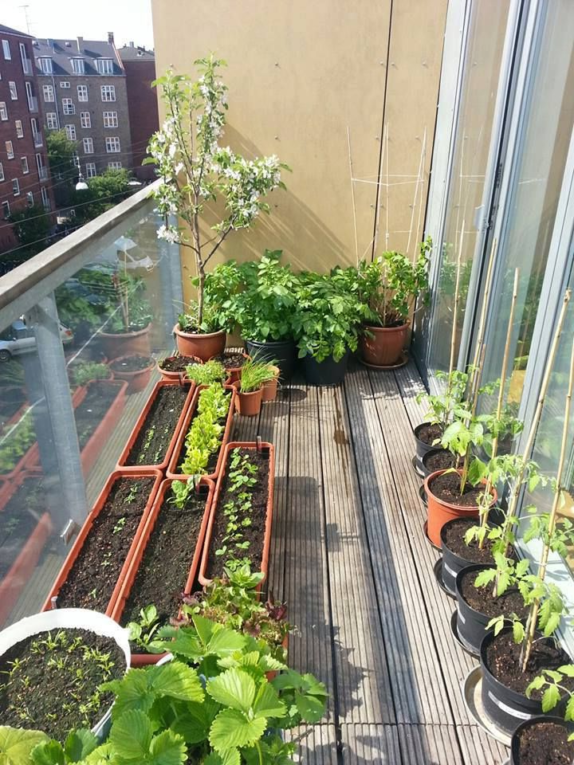 As we have mentioned before, one advantage gardening in containers can have is that they can function as greenhouses, thereby keeping temperatures higher and allowing you to grow plants you couldn’t successfully grow otherwise in your climate. 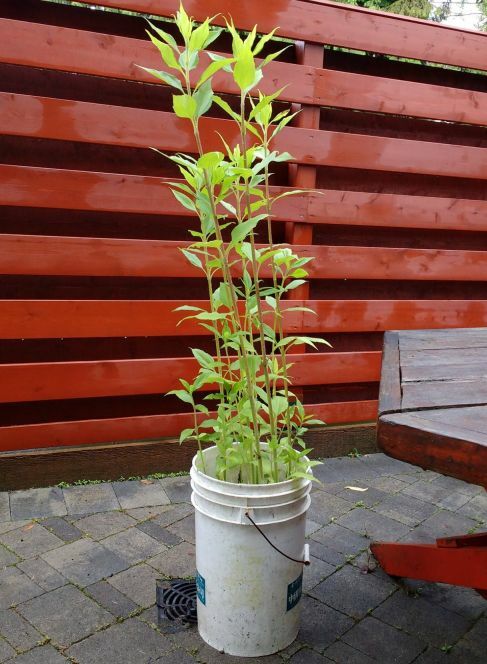 A plant growing in a bucket is easier to control than one growing directly in the soil. Not every plant has the exact same nutrient requirements. Your soil may be too salt for the plant you’re trying to grow, or you might wish to keep the soil quality high by adding worms. With such complete control, you could even grow a Bonsai tree!